September is National Baby Safety Month! This is an important topic because most people pay little attention to the product registration cards they get with the things they purchase. The majority of people simply throw these registration cards away with a shrug of the shoulders. That is a dangerous attitude when it comes to baby products. If parents do not register the products they buy for their babies, they may not hear about future recall notices until it is too late. Some of these recall notices are issued because products are found to be dangerous or even deadly. To protect their children, parents need to take a few minutes to fill out and send in the product registration cards for all the baby items that come with them. Parents tend to think of cribs as the safest place their babies can be, but they can in fact be deadly. This is because of sudden infant death syndrome (SIDS). To reduce the risk of SIDS, never put any pillows, blankets or soft toys in the crib with your baby. Also, parents need to make sure to put their babies to sleep on their backs. Babies can very easily roll off the table if you get distracted while changing their diapers. This can literally happen in seconds. Don’t ever leave your baby unattended on the diaper-changing table for even a moment. Car crashes are one of the leading causes of death for children. 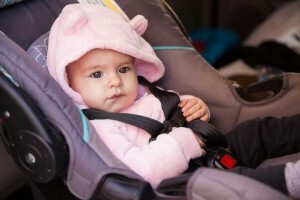 In order to prevent these tragic deaths be informed about child passenger safety laws. September is also the time of year when Child Passenger Safety Week occurs. For questions regarding your Annapolis, MD home’s plumbing, contact Heidler, Inc. at (410) 268-7191.